Ringed City Hollow is a NPC in Dark Souls 3. Just before the Mausoleum lookout bonfire. Once Filianore is awakened, he will disappear. Strong against ?? , ?? and ?? damage. "Hark, they brought thee here, did they not?" "Dost thou the gods serve? Or mererly that role affect?" "A lie, a wretched lie! How wouldst one such as thee do service to the gods?" "Thy scheme is known to me, I know what it is thoust desirest"
"... The dark soul, no?" "Why else wouldst one deign to visit this dung heap?" "Give rest to thine falsity, I would be an ally to thee." "Yes, yes, of course. How wouldst one such as thee do service to the gods?" "I have intimatly knowledge of thy kind. I know what thy want." "... The dark soul, is it not?" "If it is the dark soul thou desirest..."
"Then seek Filianore's church, at the base of the cliff." "There wilt thou the sleeping Princess awaken." "... Her slumber is a deceit ..."
"A lid covering an overgrown privy: a prop to keep thee from the dark soul of thine desire." "Worry not, I am a true friend to thee." "If thou'rt yet human, the urge will soon begin to swell." "To curse the gods, and bring ruin upon this accursed heap of dung." "Now, yarely to Fillianore's church at the base of the cliff, to rouse the sleeping Princess." "If thou yet the dark soul desirest ..."
"May the Abyss's curse take the gods..."
Many believe that he is a pygmy, as he has the same skin color, posture, and voice actor as the pgymy king, being voiced by Ramon Tikaram. Likewise, some theorize that he is an outcast of the Ringed City, given his location, outside the heavily defended city entrance. As a pygmy that despises the gods, some theorize that the Ringed City Hollow may in fact be the Furtive Pgymy himself, however, there is little additional information to corraborate this. The information The Ringed City Hollow actually provides that is not his opinions meant to persuade the player is primarily information identical to the information Shira and Judicator Argo provide regarding Princess Filianore and The Dark Soul. The exception is his dying statement, which implies that the curse of the Undead in fact originates with the Abyss, or otherwise that there is another curse which stems from the Abyss. Voice actors, chracter inspirations, fan art, cosplay goes here. What the hell of spelling are those? I don&apos;t really feel like he&apos;s THE Furtive Pgymy, considering the Furtive Pygmy was "easily forgotten," apparently even by Gwyn until he acknowledged the threat of humankind and essentially cursed them to continue feeding the First Flame, when he tasked the Pygmy Lords with "guarding" the Dark Soul (in actuality, he was preventing mankind from realizing their own latent potential). The "Corrupt" Pygmy must have been a Pygmy Lord that rejected Gwyn&apos;s decree, and thus was exiled and stripped of his crown. The Crucifix of the Mad King description states that Shira once slew a "mad king born to pygmy royalty," implying that the Pygmy Lords used to be fairly less decrepit and may have been tasked with the upkeep of their bloodline--in other words, they used to be mortals. However, when their blood "ran dry," the Pygmy Lords became stagnant and helpless, and were prohibited from dying in order to continue serving Gwyn by guarding the Dark Soul. When Gael finally came for their Dark Souls, there was no chance of escape. Canonically, I don&apos;t feel like the Ringed City exists anymore after you awaken Filianore, which would explain why this particular Pygmy happens to disappear, just as he wished would happen--as does Filianore from her tower. It would just be crazy inconvenient if they completely removed an entire map from the game after triggering a story event, so I guess the reason the player can still return is because the Unkindled can still remember the city by use of the bonfire. As for the Pygmy himself, I&apos;m pretty sure he&apos;s finally achieved the death that he was forbade for so long. Its a theory but he mightve died when we interact with filianore, mainly because she is a source of power which stops the city from crumbling into pieces due to time and that pygmy lord might be in the wrong time but still affected by the illusion, thus he crumbles into dust. Or possiby he just decided to book it coz if we fail to kill gael, he&apos;s screwed. Somehow reminds me of the Oedon Chapel Dweller. Description from the Blood of the Dark Soul: "When Gael came upon the pygmy lords, he discovered that their blood had long ago dried, and so consumed the dark soul." +Ludleth is a pygme lord too. For all the ppl that are still saying enormous***** about this NPC. HE IS NOT THE FURTIVE PYGMY. He&apos;s a pygmy Lord like Ludleth. I think this guy is the Furtive Pygmy. Otherwise I&apos;d find it odd he&apos;s the only Pygmy Lord not wearing a crown, plus he opposes Filianore while the others basically worship her. Not to mention he seems to be hiding from everything, and only appears once early on, making him "easily forgotten." I just found out that this Pymy Lord is the 9th one missing in the SKG boss area, there are 8 thrones in the area but somehow there is one missing which means there are a total of 9 Pygmy Lords and this Lord somehow managed to escape and is still alive but he is nowhere to be found after you wake up Filianore. (Keep in mind that regardless of your answer to his question when you first met him he will tell you that he will be an ally to you which means there is still something we don&apos;t know about or is yet to be discovered about this pygmy lord) Im still trying to figure out where to find him. There are still a lot of secrets to be discovered. Plus after watching Vaati&apos;s video I can confirm that after you wake up Filianore there are more trees (7-8 trees I think) added in the Farron Keep Perimeter Area just outside the Abyss Watchers boss area. 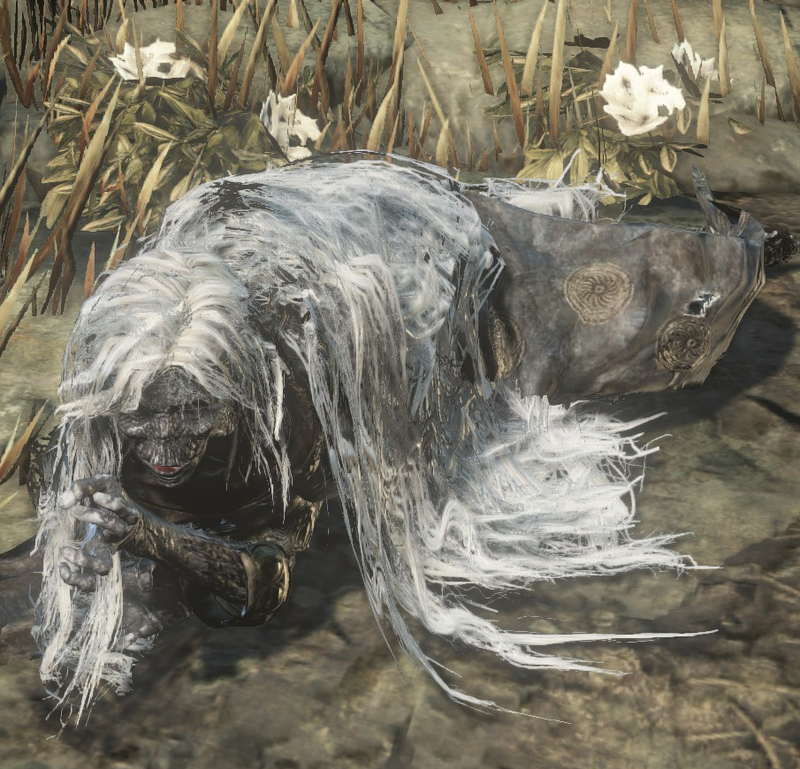 Hmm... there is something mysterious about this npc... it&apos;s like there is still a lot of secrets that needs to be discovered in the Ringed City involving this npc..